The highlight at work was hitting full power for over a minute! It took hundreds of tests to get to this point, but now we are there. It's exciting to be a company as it tests and soon releases it's first product. For many things, we have no precedent. We're either copying what another company did, or making it up as we go along. This program will be the precedent in the future, for future programs, so every time we do something there is an unspoken question, 'do we want this to be the standard?' Often we ask that question out loud too. I ran only 13 miles, but I'll take it. Man, getting back in shape is hard! 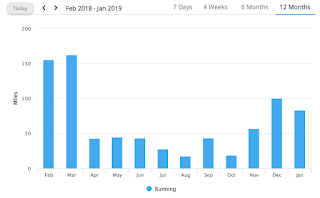 Below is my running and hiking mileage over the past 12 months. You can see, when the pulmonary embolism started in late March my running dropped off a cliff, and spent seven months below 50 miles per month, that's like 1.5 miles per day! Yeah, it's going to be hard to build up mileage on my 32.5 year old body while living at 5000 feet. 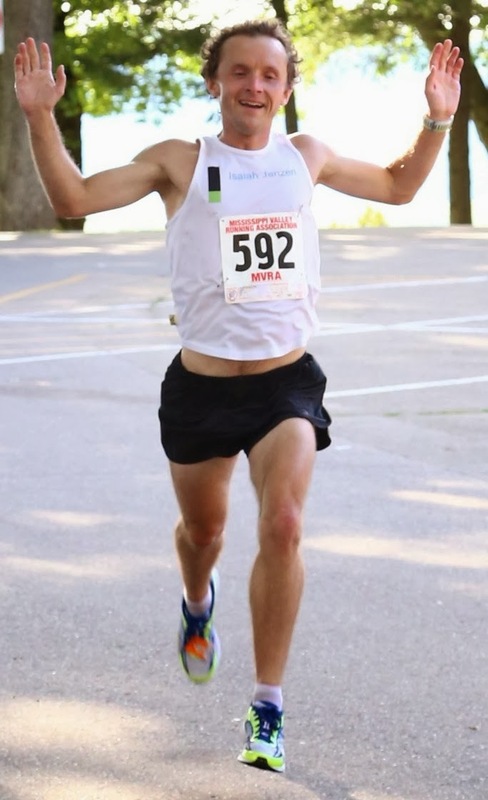 Below 300 miles per month I don't have much reason to race, because I know I just won't be in 2:40 marathon type shape. I went on two second dates this week. Both went well... And stay tuned for more news on that front. My coworkers and I skied Winter Park on Saturday, which was quite nice. I'm getting better at moguls, which are a lot of fun when you can do them well. Going down a groomed run just isn't very challenging. It's also a great skill for backcountry skiing because it helps you learn how to turn quickly.